Vinegar has been utilized for many purposes for centuries. Some of these purposes have included medicinal benefits, from body toxin purification to treatment for diabetes and hypertension. Many of the wives-tale uses for vinegar have not been proven through peer reviewed research or have been disproved. Vinegar has shown some promising results in both diabetes glucose regulation and in weight loss. However, additional studies are needed. Vinegar is the end product of a sugar source that has been fermented to alcohol by utilizing yeast. The source can be anything from table sugar to juice, honey or grain. The alcohol is then allowed to oxidize -- exposed to open air. The pH of vinegar can vary, but typically commercial distilled white vinegar is about 2.4. The chemical name for the acid in vinegar is acidic acid. A study published in 2000 in the "Journal of Nutrition" had healthy subjects consume three incremental strengths of acidic acid followed by a bread meal. They then measured insulin response at 15, 30, 45, 60, 90 and 120 minutes. They also subjectively measured satiety over this same period of time. The results found that the greater the strength of acidic acid or vinegar, the lower the insulin response and the more satiated the subjects were. A few studies, such as one published in 2007 in "Diabetes Care" and in "BMC Gastroenterology," have demonstrated that vinegar helps improve blood sugar levels. In the studies vinegar has been shown to improve insulin sensitivity to large carbohydrate meals, by decreasing digestion time, therefore reducing insulin response to these types of meals. In another study published in 2007 in "Diabetes Care," it was found that vinegar improves your waking glucose levels if taken prior to bedtime. The high acidity of vinegar it is not recommended if you have stomach issues, such as an ulcer, irritable bowel syndrome or acid reflux disease, according to Seattle Cancer Care Alliance. You should check with your physician prior to taking vinegar as a method for aiding weight loss, especially if you are taking cholesterol medication, attention deficit hyperactivity disorder -- ADHD -- medication or diabetes medication. While there is some research suggesting that vinegar represents a viable method for aiding weight loss by appetite suppression, and that it increases satiety after a meal, more research is necessary for the health care industry to utilize it as a weight loss tool. 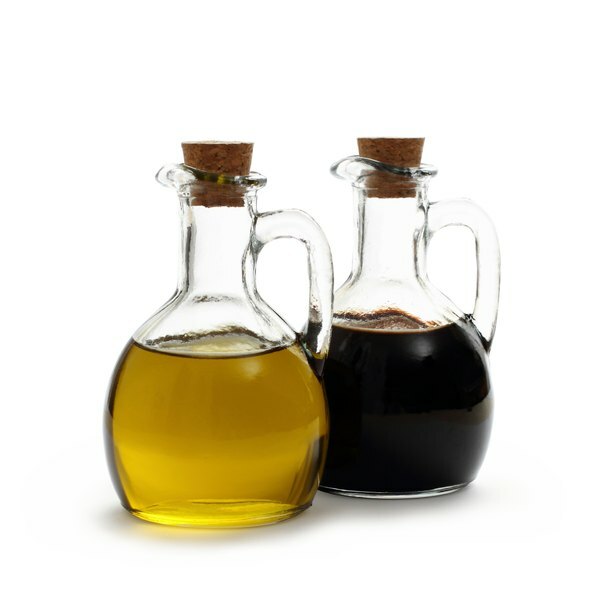 Consult your physician if you are considering utilizing vinegar as a weight loss tool, to determine if there could be food-drug interactions or other negative consequences. Victoria Parratt began writing in 2005, promoting Saint Mary's Center for Health and Fitness in Reno, NV. She has been a Registered Dietitian and American College of Sports Medicine Health Fitness Specialist since 2004. She is a graduate of Purdue University with dual Bachelor of Arts degrees in dietetics and nutrition, fitness, and health.